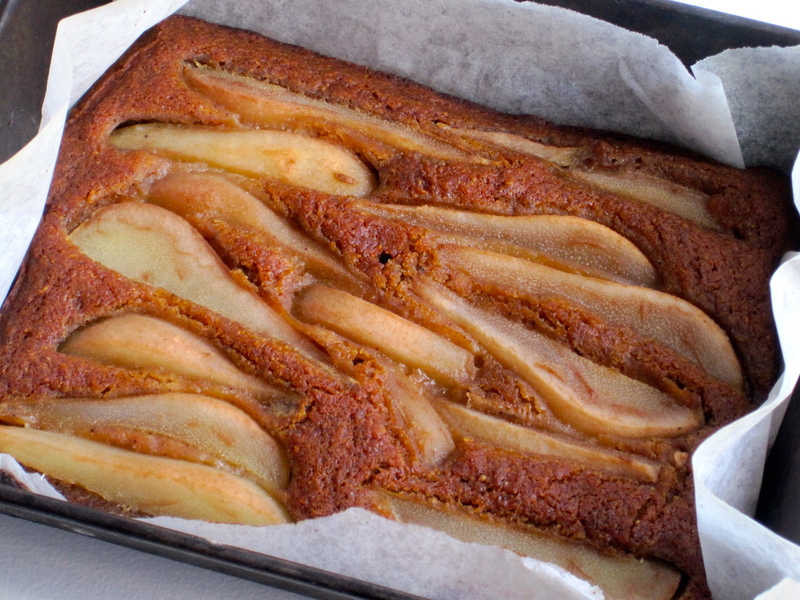 This is a pudding style cake that is strong with fresh root ginger. 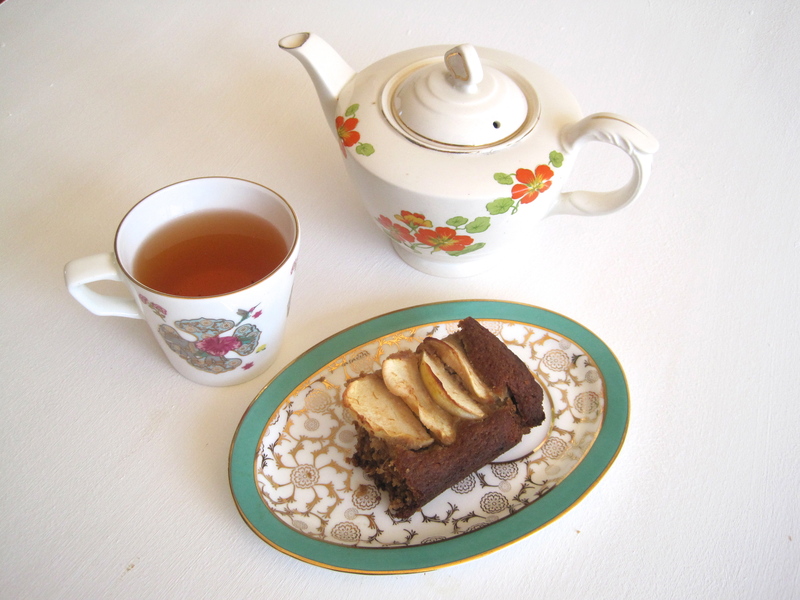 The pear version is more moist and the apple version is great for afternoon tea. We used coconut sugar in this recipe, but if you feel it’s too expensive, it would work with date syrup instead. The texture is lovely and satisfying and like a proper cake – it doesn’t taste gluten free at all! If you’re a ginger fiend like us, this is the cake for you. 1. Preheat the oven to 180°c. 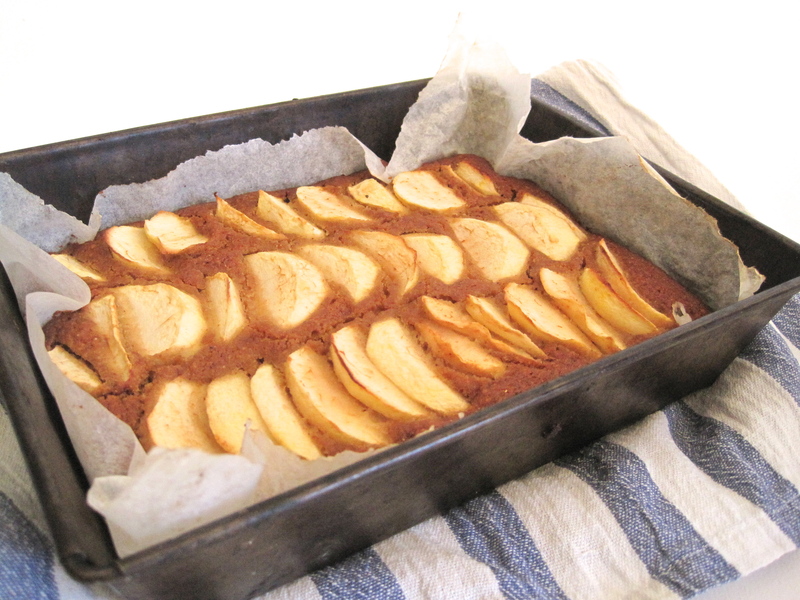 Prepare a 23 cm tin with baking parchment. 2. Combine all the ingredients in a bowl together, stirring after each addition. 2. Pour the mixture into the tin and top the cake with the fruit. Bake in the preheated oven for approximately 40 minutes until a skewer inserted into the cake comes out clean.